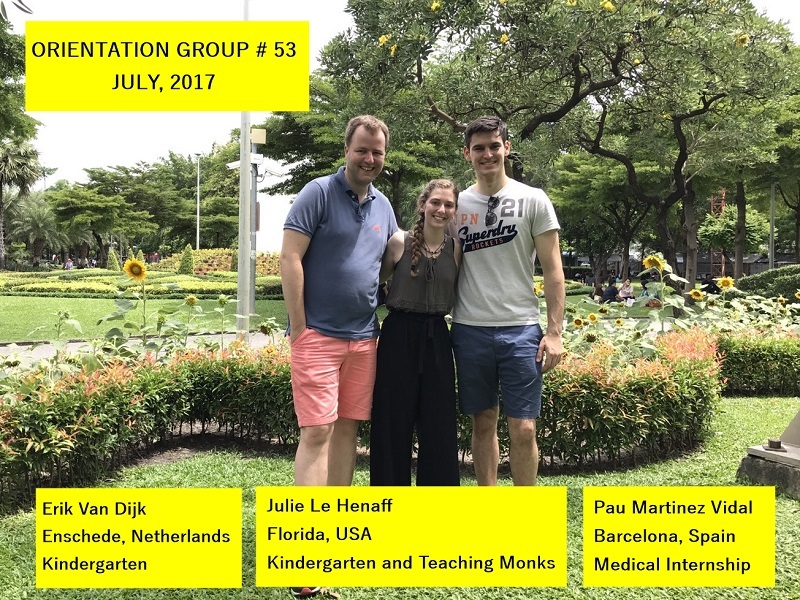 Presenting Bangkok Volunteer Groups #53 and #54! During this busy time of year, posting new groups has fallen a little behind. In these two groups, we hosted volunteers from the Netherlands, Spain, the USA, Greece, Poland, Mexico, and Switzerland. 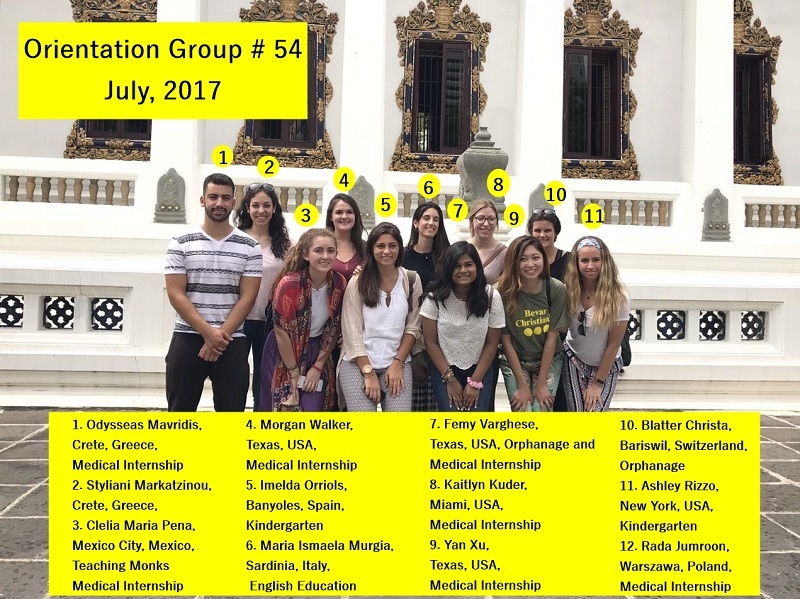 Volunteers in these two groups participated in our Medical Internship, Kindergarten, Teaching Monks, English Education and Orphanage Volunteer Projects. For information, photos and videos on our projects, please visit our Project Page.